Offering guided hunting in the Kooteney River territory. Large game including Bighorn Sheep, Mountain Goat, Elk, Grizzly and Black Bear, Whitetail and Mule Deer, Cougar. The East Kootenay mountains are blessed with some of the most rugged and beautiful scenery in all of British Columbia. Whiteswan Lake Outfitters lodges and cabins are part of this great territory. 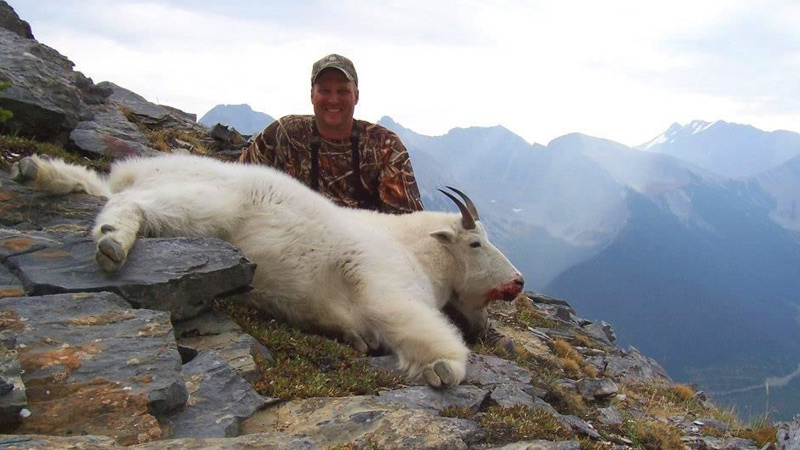 Our guiding team is devoted to providing the hunter a safe, fair chase hunt with a reasonable opportunity to harvest a mature animal typical of the Kooteney area.Hunt camp has a relaxed, casual atmosphere with home cooked meals and comfortable cabins. You will be sure to enjoy a nice hot cup of cowboy coffee and home made pies! There hasn’t been a hunter to go home skinny from our camp! Every effort is made by our team to make sure your hunt with us is safe, fun and enjoyable.